ARROW Green rosettes have narrow, pointed leaves and bright red margin tips. Grows 3� wide with a height of 3�. Soft white hairs give a frosted appearance. Velvety texture. Drought tolerant. 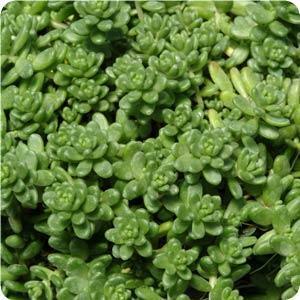 Tender soft succulent. Full sun to part shade. Not frost tolerant. 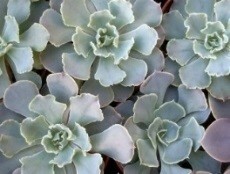 Mexican Hens An attractive and unusual succulent with short-stemmed rosettes of blue-gray leaves that have very wavy crinkled margins that take on a pinkish tint if grown in bright light. In late summer appear the branched stems of pink flowers that are yellow in the interior. 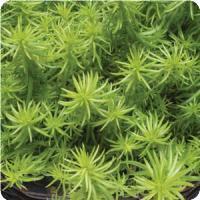 Plant in full sun to light shade (requires some shade in hot interior climates) in a well-drained soil. 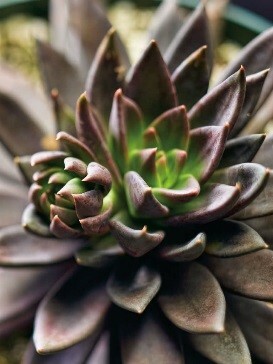 Cold hardy to 23� F.
Black Prince (Black Hens and Chicks) This succulent plant produces clumps of short rosettes up to 3 inches wide with thin dark triangular, blackish leaves. These leaves first emerge greenish but darken to a deep lavender brown and with age the lower leaves widen out to as much as 1 inch at the base with an acuminate tip that has fine yellow edges. In late fall to early winter appear the dark red flowers on short stalks. 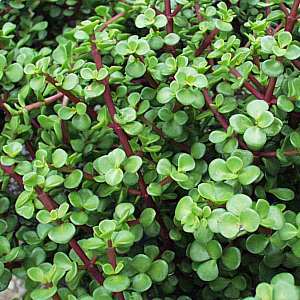 Plant in full sun (best color) or light shade in a well-drained soil with occasional irrigation in spring and summer months. Cold hardy to about 25�F. Silver Gray (h)6-10 inches. 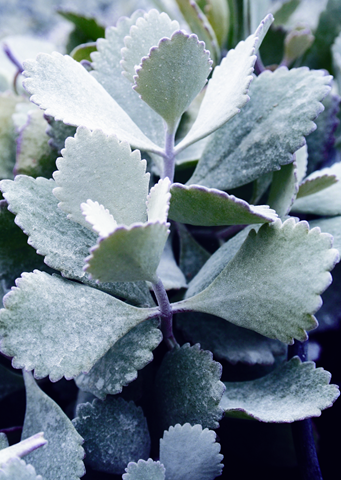 Silver leaves are tinted with a dusty rose and have toothed margins at the tips. Red Stem (h) 8-16 inches. 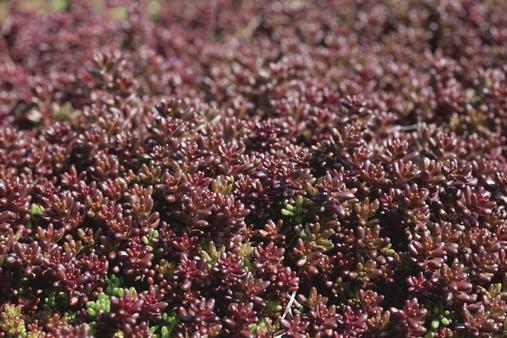 Bold, attractive dark red stems on a miniature jade plant. ANGELINA (h) 3-6 inches. Developed in a private garden in Croatia, Angelina has brilliant, needle-shaped, golden yellow foliage. Prefers well-drained soil and to be kept on the dry side. Trailing habit. LEMON BALL (h) 3-6 inches. 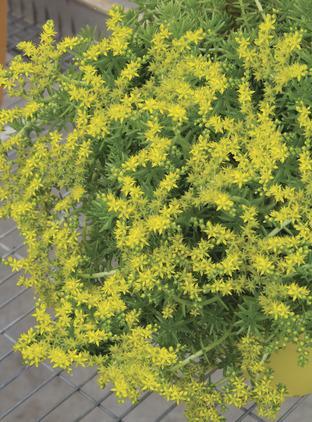 Attractive spiky, yellow foliage compliments vibrant flowers. CORAL REEF (h) 6-8 inches. 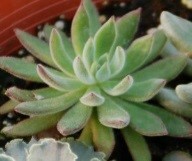 Succulent, shiny green leaves have rosy bronze tips and turn a lovely pink-bronze in the fall. Full Sun. ATHOUM (h) 6-8 inches. Pink flowers bloom in fall over mounds of green foliage with red tips. 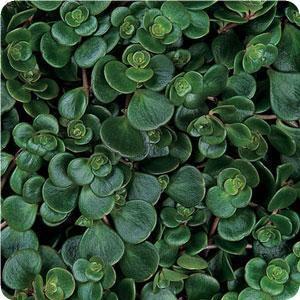 Tough little groundcover. Full sun.